"Memorial Human Rights Centre has carried out its work in often very difficult situations – including in the North Caucasus – and has earned the respect of all of us in the international humanitarian community." Svetlana Gannushkina received The Right Livelihood Award, also known as "Alternative Nobel" award, "for her decades-long commitment to promoting human rights, justice for refugees and forced migrants, and tolerance among different ethnic groups." At the root of the current crackdown is control. 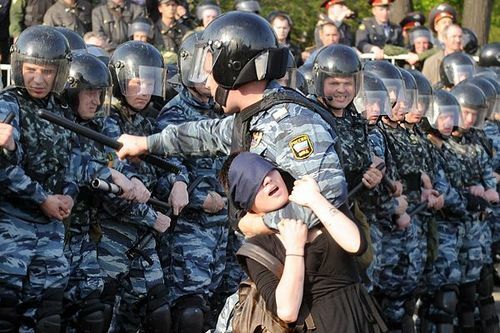 Russian authorities wish to create a paternalistic relationship between the government and its citizens. As in the Soviet times, they want to ensure that the people are dependent on those in power. If citizens see the state as feeding them and caring for them, they will come to recognize its ability to give or take away those benefits at will. Since the beginning of the Karabakh conflict in 1988 Svetlana Gannushkina has been involved in peace-keeping activities. She took part in the process of enabling hundreds of Armenian and Azeri captives to return home. She has been continuing this work within the framework of an International Working Group for the release of captives and search of the missing and hostages of the Karabakh conflict. In 1990 Svetlana Gannushkina co-founded the Civic Assistance Committee for refugees and internally displaced people. At present the Committee is rendering medical, social, legal, financial and other sorts of humanitarian support to thousands of migrants annually. For the last few years the Committee has been actively working in the North Caucasus. Since 2008 it has been rendering legal assistance to labor migrants to protect them from cruel exploitation by employers and extraction of money by law enforcement agencies. 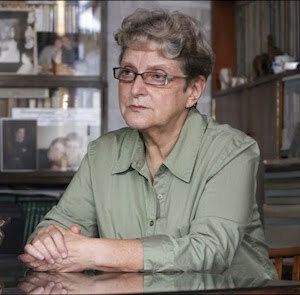 In 1993 Svetlana Gannushkina took part in setting up the Memorial Human Right Center, where in 1996 she established the Migration Rights Network to provide legal assistance to refugees. Currently, Svetlana Gannushkina is the Chairman of the Civic Assistance Committee and the Board member of the International Memorial.